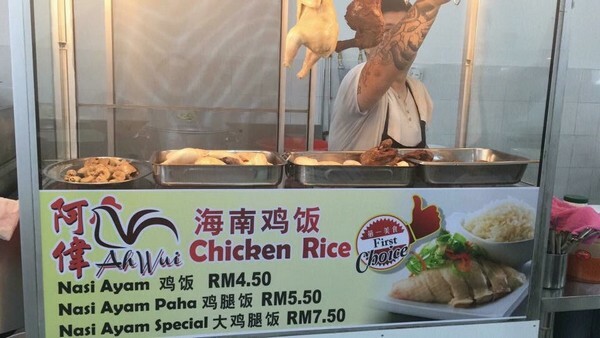 Wow, today I got the chance to taste Ah Wui Chicken Rice. Line up long! Be fast, it will soon be finished. In the first day, the business is booming. The boss! Your meal is really good! Chili incense! Chicken refreshing! Don’t move to other place, find it here for you! 哇，今天吃到了阿伟鸡饭。给我们找到他了！排队排很长！吓死人了，很快就完了。第一天，生意兴荣，老板！你的饭真的一流！辣椒香！鸡肉爽口！ 不要搬了，找你找到很难！Location at Dr teo clinic area same row, 986 cafe Miri Waterfront.